Bill Konkolesky is state director of Michigan MUFON, Inc. (www.mimufon.org). Konkolesky has appeared, recounting his personal abduction experiences, on ABCs "Peter Jennings: Seeing is Believing," and the SCI-FI Channels "Abuction Diaries." He is a listed contributor to the books, Filers Files: Worldwide Reports of UFO Sightings, by George Filer and David Twichell, as well as Weird Michigan: Your Travel Guide to Michigans Local Legends and Best Kept Secrets, by Linda Godfrey. 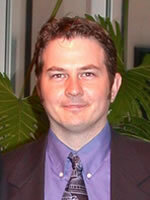 Konkolesky lectures regularly in the Detroit area on UFOs and the abduction phenomenon.